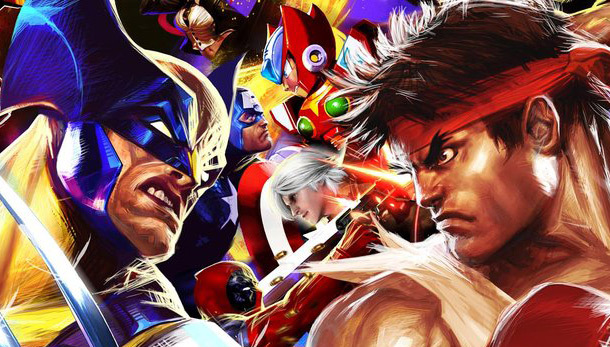 The Capcom vs.series of fighting games is probably the most obvious crossover success there is, but there are still several games in the series that don’t get as much attention as the juggernaut Marvel vs. Capcom series. My personal favorite in the line of games is Capcom vs. SNK 2, which saw release on the PS2, GameCube, Xbox, and, if you’re lucky enough to have a way to play Japanese Dreamcast games, the Dreamcast. It housed over 50 total combatants from then rival companies Capcom and SNK, and featured a wonderful fighting system, plenty of customizable teams, and dozens upon dozens of hours of gameplay. Also forgotten, but not nearly as much, is the Wii title Tastunoko vs. Capcom. Essentially a precursor to Marvel vs. Capcom 3, TvC was filled with a lot of unknown Japanese characters, but still featured some of the best (if not THE best) fighting on the Nintendo console that could. Somewhat recently Capcom released the Marvel vs. Capcom Origins compilation on PS3/Xbox 360, which features some of the earlier titles in the franchise as well. With so many games on so many consoles, these crossovers are easy to get a hold of and a blast to play! – Very accessible: nearly every past console has a Vs. series game, including iOS! – Marvel vs. Capcom 2 and Capcom vs. SNK 2 are some of my personal favorite fighting games ever! While Capcom dominated the fighting scene during the arcade boom of the 90s, SNK tried it’s hardest to firmly hold second place. The Japanese company had a couple of successful fighting franchises under it’s belt, including Fatal Fury and The Art of Fighting. It wasn’t until 1994 that we saw The King of Fighters rise to become one of SNK’s biggest hits. Featuring fighters from both The Art of Fighting and Fatal Fury, as well as some KoF specific new combatants, The King of Fighters was a conglomeration of all things SNK. 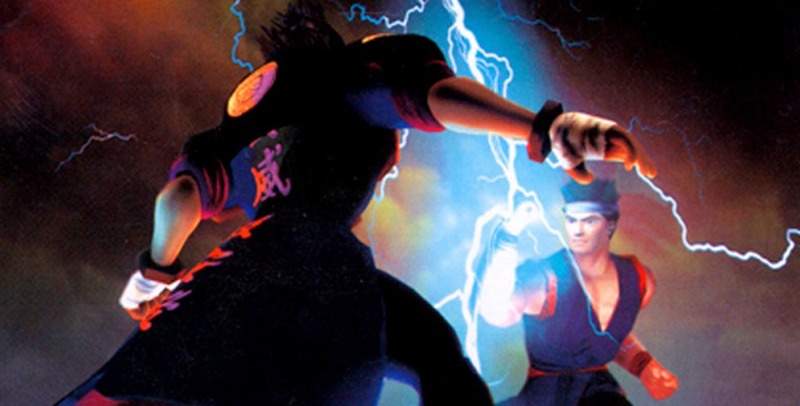 As the series went on it added more fighters, more combat styles, and more depth. Though I personally don’t feel the games are as fun as most Capcom fighters (maybe too technical, or just not as fun in general), it is worth checking out to see what Capcom’s best competitor was putting out. 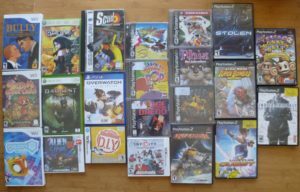 A nice collection of many past games is available for the PS2/Wii, as well as most games being available for download online as well. Poker Night at the Inventory was a game that I’m sure no one saw coming. It features characters that otherwise would never appear in any other game/media outside of their own, especially considering this is one of the only games some of the included players are featured. Tycho from Penny Arcade was an interesting addition, but he was topped in the sequel by GLaDOS as the game’s dealer. The real fun comes from the banter between you and the characters during each hand. Strange scenarios where the Heavy from Team Fortress 2 threatens the rabbit detective Max can only happen in a crossover like this. For the price, you’re really paying for these fun situations, and if you enjoy yourself a game of poker, then this is worth checking out. – Genuinely funny banter, and a decent price! 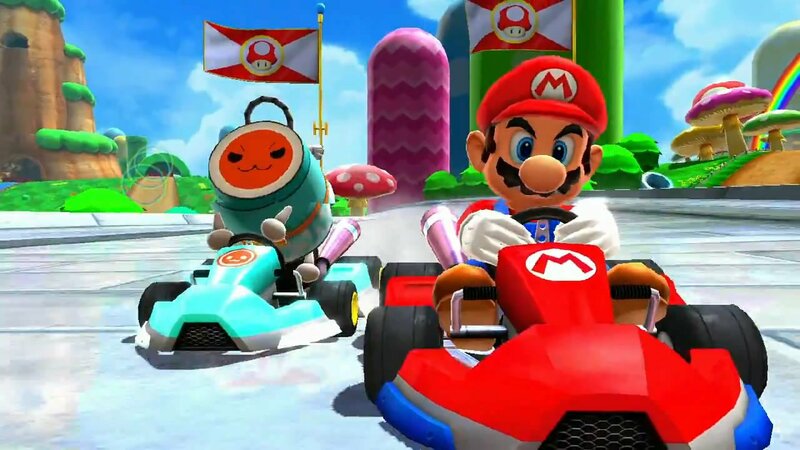 For nearly 10 years Mario and pals have been having racing in your local (if you’re lucky) arcade and not just on your home consoles. The Mario Kart Arcade series is comprised of currently three entries: Arcade GP, Arcade GP 2, and Arcade GP DX, which just released in 2014. Despite being wonderfully fun arcade racers in their own right with stages you can only find in the arcades, each game also features characters from Namco Bandai franchises. Most notably, Pac-Man has been a racer in each game, qualifying this as a crossover game! On top of the iconic Pac, Ms. Pac-Man as well as Blinky the Ghost are playable drivers, and even Don-Chan, the drum from the niche series Taiko Drum Master makes a playable appearance in the third game. Unique to the second game is a Tamagotchi character as well, likely making this the only game where Tamagotchi characters will be willingly played. the craze has died down now, but there was a time that Angry Birds ruled all of mobile gaming. Evidence of the flocks dominance can be seen today: any kids clothing store will likely have an Angry Birds t-shirt or toys readily available, and there’s talks of a movie being in the works. While I found the game’s remotely challenging and kind of fun to pass the time, it wasn’t until the Star Wars crossover that I really thought it went too far. 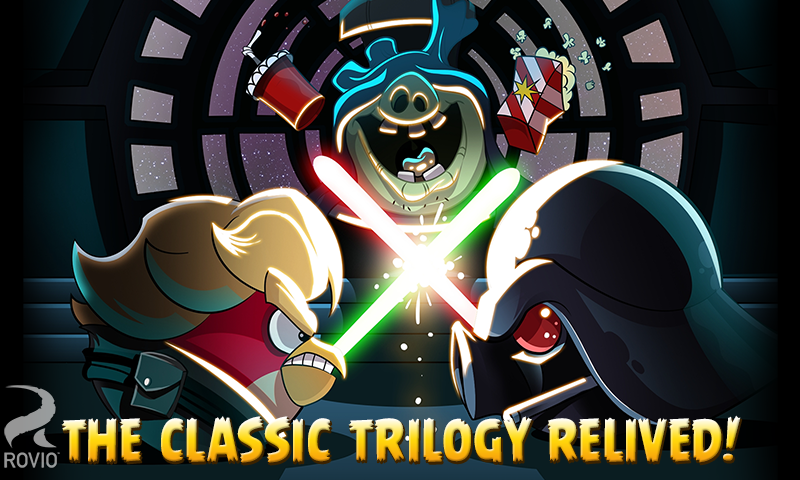 Don’t get me wrong, Angry Birds: Star Wars does a lot of things really well: it adds new levels to the already solid game, and adds lots of Star Wars specific features and upgrades, like Lightsabers, the Force as a powerful tactic to win levels, and tons of references only fans of the film series will enjoy. It’s just the whoring out of the franchise that did it more me. Regardless, if you’re wondering what the Angry Birds craze is/was about, and you’re a sci-fi nerd, this is the game for you. – It’s only a dollar! 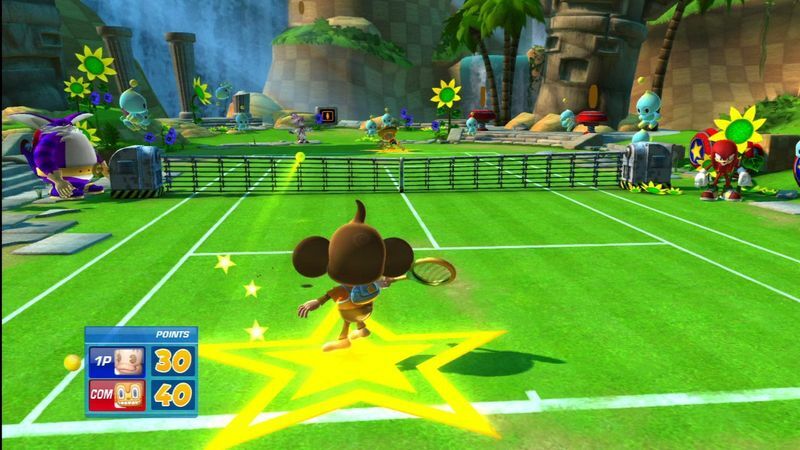 Sega Superstars Tennis is a surprisingly solid game of tennis, which is good considering the developers had made a couple of tennis games prior to the Sega mascot filled romp. Rivaling the Mario Tennis series, Sega Superstars Tennis gets a lot of staying power by the variety of characters available. Going way back to the early Sega Master System days we can see Alex Kidd picking up a racket along with Sega stalwarts like Sonic and Tails, as well as iconic Sega peeps from the Nights, Jet Grind Radio, and Space Channel 5 series. Fantastic courts, fun minigames, and great multiplayer go a long way in making this a fun game. Considering nearly every used game store has copies of this lying around for less than five bucks, it’s a no brainer. It’s hard to justify this game as anything but the cliche colloquial name: The Final Fantasy fighting game. It doesn’t really have much else going for it other than allowing you to play as Cloud, Tifa, Sephiroth, Vincent, Yuffie, and Zack in a blocky 3D environment, but for some people that’s all that was needed. The rest of the cast is comprised of wholly original combatants, with many being straight up rip-offs of other noteworthy fighters. While the game is unremarkable by most accounts, it is very satisfying to unlock all the characters and fight with Cloud’s huge Buster Sword or Tifa’s devastating fists. For a collector too, this is a PS1 must! I remember getting super pissed when my local arcade decided to replace the Marvel vs. Capcom 2 cabinet with Cannon Spike. It wasn’t a fighting game, but it was by Capcom. Oddly enough, it featured many characters also playable in MvC2, including Cammy and Charlie from Street Fighter, Arthur from Ghosts ‘n Goblins, BB Hood from Darkstalkers, Mega Man from Mega Man, and Shiba from the super old Three Wonders. The game is a 3D shooter with a top down view, kind of like Geometry Wars or Smash TV, but with 3D visuals. It’s no MvC2, but it’s pretty damn awesome, let me tell ya. It’s also really challenging, but if you have a friend to play with it becomes crazy fun. Though it’s hard to come by now a days, if you see it you owe it to yourself to play it, especially if you call yourself a Capcom fan. Pokemon and feudal lords; who would have guessed that would have worked? 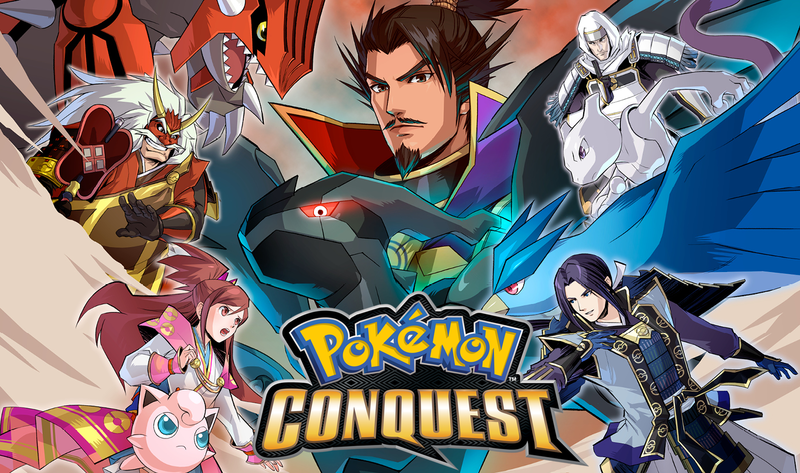 Pokemon Conquest is a blending of the mega popular Pokemon series of RPGs with the historically inaccurate Nobunaga’s Ambition series of strategy games. I hadn’t played a strategy RPG as approachable and deep as Pokemon Conquest, which is quite the feat considering I have played a great amount. The game has truly fantastic pacing, building upon itself and giving you small layers of depth at each interval rather than just throwing it at you all at once. Also, the visuals are truly gorgeous, and rank in my book as one of the best looking games on the original DS. I like to imagine that this is actually how the great lord Nobunaga was actually overthrown: a deadly combination of Pikachus and Tepigs. Combining the entire cast from Virtua Fighter 2 and Fighting Vipers (another Saturn fighting game), Fighter’s Megamix isn’t remembered by essentially putting two games in one. It’s remembered for letting you fight as a car from Daytona USA. Or a crudely made Mexican-themed tree. Or previously scrapped Virtua Fighter characters. Or even a company’s logo. Seriously, Fighter’s Megamix has some truly bizarre character inclusions. Oddly, the game came out for the Saturn and was only ported to the Game.Com, a really bad portable gaming device that I actually somehow have in my collection. There needs to be more games like this on current consoles. Namco Bandai should do something like this with Tekken and Soul Calibur. Eddy Gordo vs. Voldo would totally make me buy a PS4. 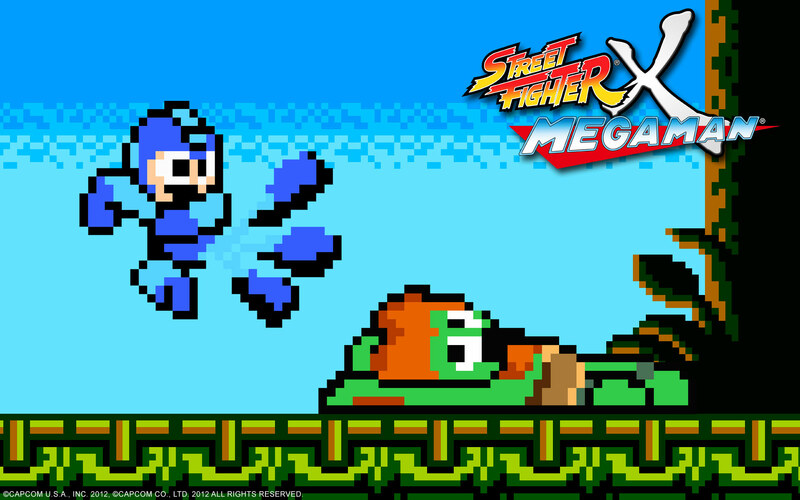 Bypassing the much more serious Street Fighter X Tekken series, Mega Man received a surprise entry into this classic series with the release of Street Fighter X Mega Man. Created by a die hard Mega Man fan, SFxMM not only had the Blue Bomber taking out some of Street Fighters most iconic combatants (Ryu, Chun-Li, Blanka, etc. ), it also featured remixed versions of familiar Street Fighter tunes, stages set in the Mega Man style but with aesthetics of Street Fighter characters, and some of the most unique and fun “Robot Masters” and special weapons to date. It’s not the best game in the Mega Man series, but it is a wonderful crossover that feels in equal parts a Mega Man game, and a Street Fighter game. – The music is great. Admittedly, this is probably the only game series on here that you may not have heard of. And yet again, it features list-favorites SNK and Capcom. But this time, Terry and Ryu are duking it out on digital versions of popular children’s playing cards. The original Card Fighters Clash series began as two separate games on the ill-fated (but highly coveted by yours truly) Neo Geo Pocket Color, and a newer version released for the DS. Though the DS version is easier to find, I find the Neo Geo Pocket originals to be best. 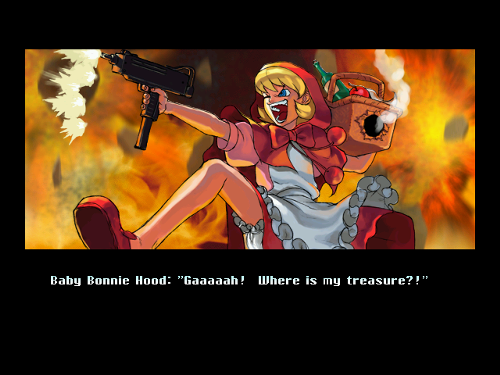 The game incorporates a ton of characters from SNK’s and Capcom’s history of video games. Gameplay wise it is similar to the video game versions of The Pokemon Trading Card Game, as well as the Yu-Gi-Oh series. Each game features delightful chibi-versions of every iconic character, too. I hesitate to say they make the system worthwhile, but I really did enjoy them! 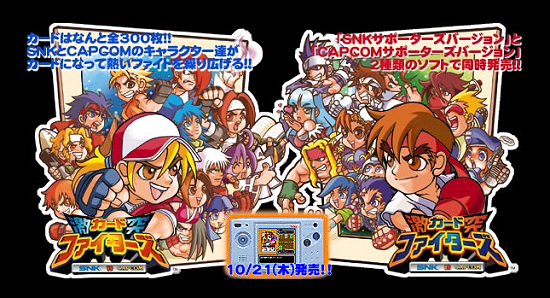 – It is the first game in the SNK vs. Capcom series! 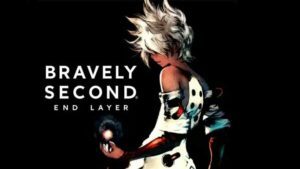 – The DS version is readily available and quite cheap! Some games that didn’t make the cut for my list included the new’ish RPG Project X Zone, the entire Kingdom Hearts and Super Smash Bros. franchises, as well as more fighting games like Mortal Kombat vs. DC Universe, and Soul Calibur 2. Surprisingly there are a lot of fighting and RPG crossover games, but not too many others. I tended to stay away from DLC that added extra costumes or something superficial like that. Which games would you add to the list of best crossovers?